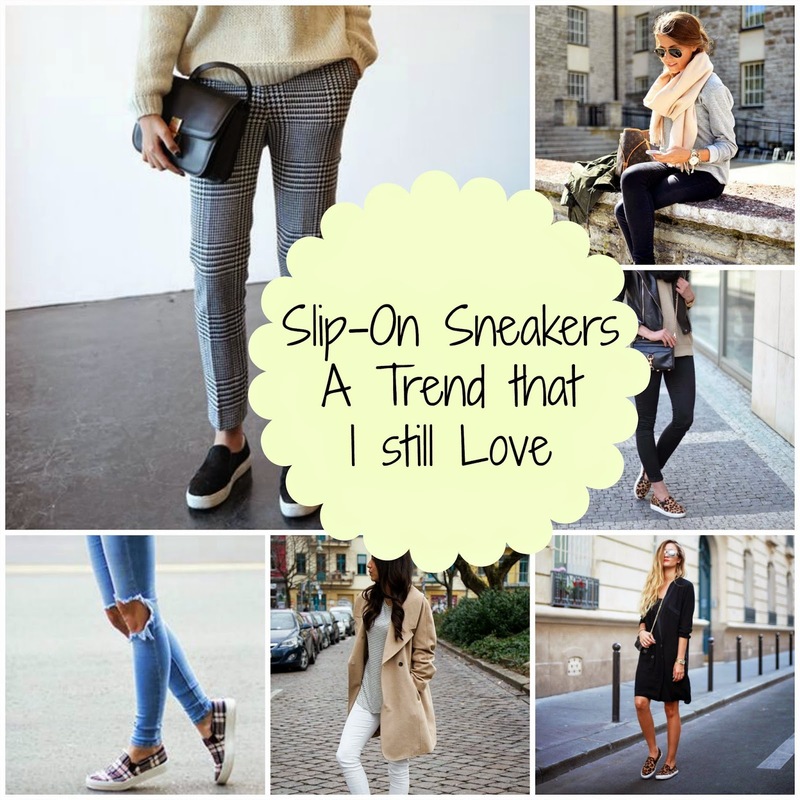 Slip-on Sneakers | A Trend that I still love. Hello Lovelies. Today I came to share with you one of my fashion favourites: slip-on sneakers. I would say that I am addicted to them even though I only own two pairs. I just think that they are so, so comfortable and at the same time so stylish that you can’t go wrong with them. They are a brilliant substitute to my Converse because they give a nice touch to the outfit. With Converse you can have a comfortable, relaxed and sporty look. On the other side you have the slip-on sneakers: comfortable, stylish, classy. And I much prefer this one. There are many ways to wear slip-on sneakers and I came to share some of them with you. Pinterest is my best friend when it comes to find inspiration for outfits/makeup looks/hairstyles. 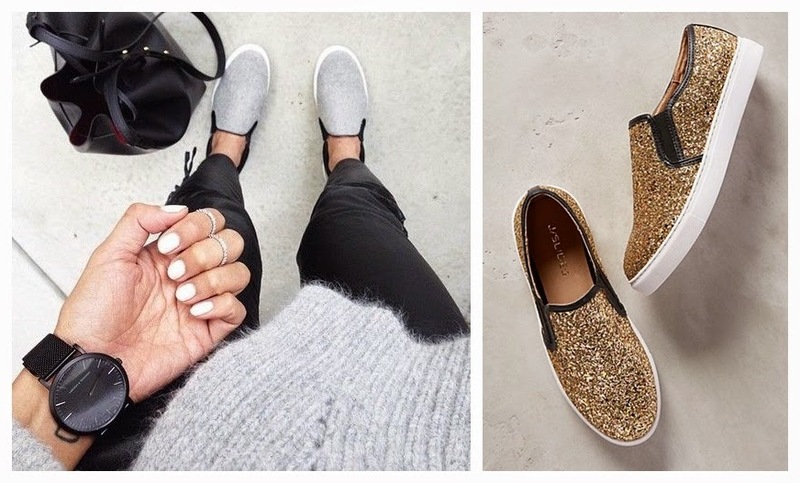 So I am going to share with you some outfits to inspire you, if you are a slip-on sneakers lover as I am. I really hope you like this post. Last picture are the slip-on sneakers that I bought a few days ago at Bank Fashion UK for £20. Can’t find them on the website but if you are lucky you will find them in store. I love how sparkly they are (you can’t tell in the photo unfortunately). The other pair that I have is from Stradivarius. Click here and it will re-direct you to the store website if you want to purchase them. Next Post As above, so below – What are YOU scared off?